The Technology Student Association (TSA) is providing free JSS kits to schools with Title 1 funding! JSS is available to 5th through 8th grade students. 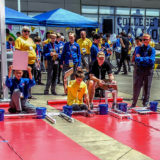 This fun, hands-on program encourages competitors to apply scientific understanding, creativity, experimentation and teamwork to design, build and race solar electric vehicles. When qualifying schools complete the free, JSS online registration, they will receive a class set of five JSS kits at no cost. In order to participate in JSS, the registration must be completed by the TSA chapter advisor and TSA student members. Once registered, TSA chapter advisors will have access to online resources to help them get started. Questions? Contact JSS Manager Sue King. 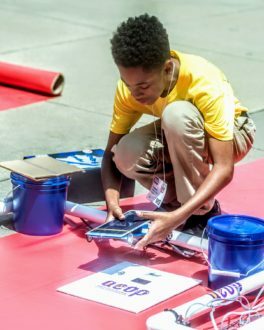 Junior Solar Sprint (JSS) is a competition for middle school students to create the fastest, most interesting, and best crafted solar-vehicle possible.